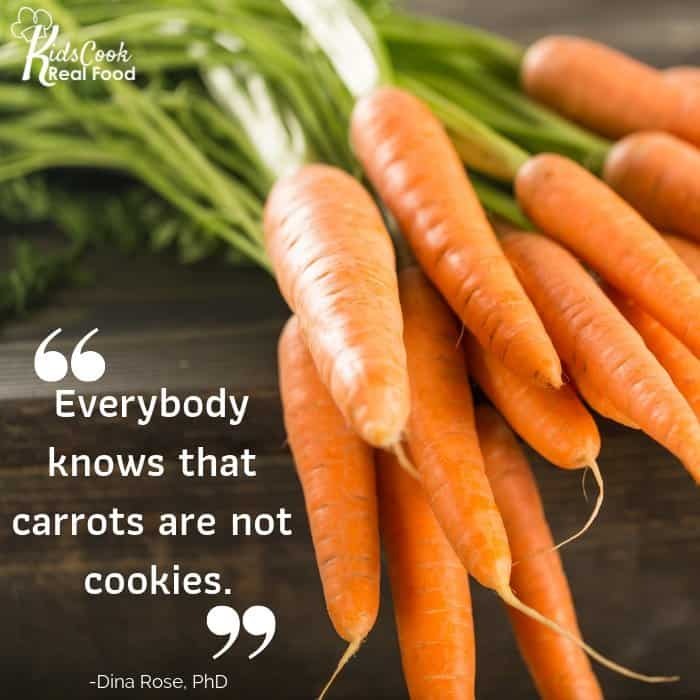 Dina Rose, PhD, is our guest today on feeding our kids healthily, and she says she’s not actually against the lollipop at the doctor’s…(insert shock here? )…BUT she still would take it away from her crying daughter! Why? She has a real issue with dealing with emotion through food, and we talk about that today in this incredible interview that will push your boundaries (and change the way food looks in your house if you listen well). Why the discussion about healthy eating isn’t just about healthy food but about why, when, where, and how much you eat. Why parents who KNOW they shouldn’t bribe their kids with food or make them clear their plates often do it anyway (and how to reform). She calls sugar the USDA’s crazy old aunt that they’re hiding in the attic and not talking about. I love it! Do you use the words “balance” when you talk about food? Dina tells us to ditch that term for 3 simple habits: variety, proportion and moderation. But don’t miss her definitions, because “moderation” probably isn’t what you think. Yes, we should actually have a cookie on there if the “MyPlate” image was to be improved. How what we feed our kids trains their taste buds, and how to make sure we present foods in their proper “categories” to train our kids’ HABITS. Why we shouldn’t feed our kids every time they say they’re hungry. It’s about fear, and it’s GREAT advice! Got a picky eater who won’t let you serve healthy food? Dina has a whole process for you, too, and it’s NOT about eating. 0:24: Dina Rose is a sociologist, parent educator and feeding expert empowering parents to raise kids who eat right. 1:17: Dina shares how she became interested in how kids eat. 3:03: As a sociologist, Dina knew that healthy habits were key to teaching her daughter a healthy relationship with her body and food. 3:14: One habit she immediately became concerned with was requiring your child to finish everything on their plate. 5:32: We talk about some ways parents inadvertently cause poor relationships with food. 6:00: As parents we’re focused on getting the food and nutrients into our kids, and we have a presupposition that kids don’t like healthy food. 6:58: Even though parents know not to bribe their kids or make them finish their plate, they do it anyway because we want to be good parents and we are taught vegetables are important. 7:43: The discussion around healthy eating in our culture forgets that healthy eating isn’t just about eating healthy food. It’s also about eating the right amounts, eating for the right reasons and staying in touch with your hunger cues. 8:32: Dina shares how she responded when her daughter’s pediatrician handed her a lollipop to soothe her. We should not respond to emotion with food. 9:33: Dina’s book shares 3 habits for healthy eating. They are: proportion, variety and moderation. 10:01: When Dina was researching the history of the food pyramid, she came across a webpage that talked about proportion, variety and moderation being the underlying principles of the pyramid. She began looking deeper into how to apply these principles. 11:35: Using these 3 principles helps you simplify your goals and gives you a roadmap so you know where you’re heading. 11:57: People use the word “balance” in diet and “moderation,” but Dina doesn’t like those because they are too hard to define. You can interpret them to mean so many things. 13:41: The “at least” diet is feeding chicken nuggets and saying “at least it’s protein.” When we do that, we’re still wishing that we were doing more or that our kids would allow a more healthy diet. 14:27: Most parents think of variety as introducing new foods. It really just means eating different foods. 14:53: Don’t forget about breakfast, lunch and snack! 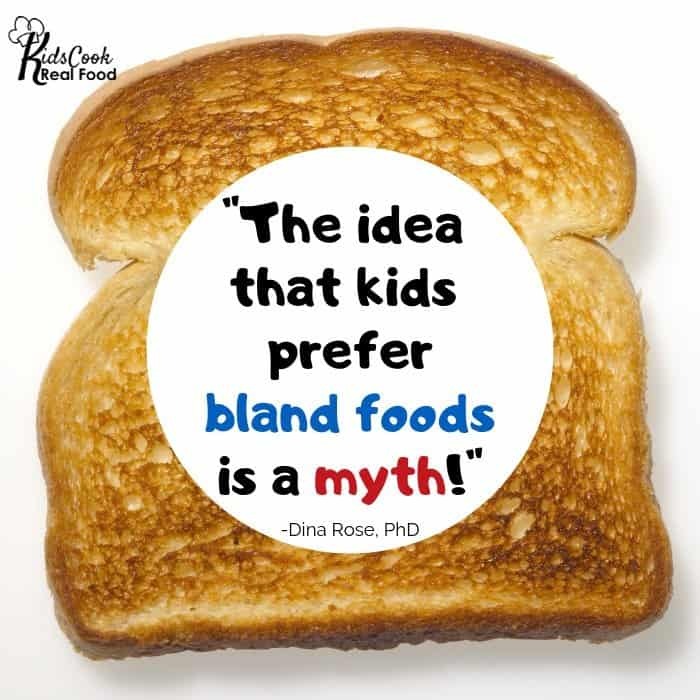 When we offer the same foods all day long, we teach them monotony – and so much kid food is actually the same – wheat and cheese. 16:04: The rotation rule is to start with what you already eat and begin rotating foods so you don’t eat the same thing 2 days in a row. 16:30: Moderation is used very specifically to think about portion size as it’s tied to hunger and satiety. 17:32: In order to implement the proportion principle, someone needs to have a basic understanding of nutrition. You don’t need to know about specific vitamins and minerals, most people already know enough to move towards more healthy food. 18:58: Pretty much everyone could tell you that baked chicken is healthier than fried chicken, or vegetables are healthier than cookies. It gets more complicated when you look at packaged food. It’s harder to tell which box is healthier. It’s confusing, and food manufacturers take advantage of that! 20:00: Many parents look at foods as either healthy or junky. Things that fall in the middle tend to get lumped into healthy. We’d be better off considering anything questionable as belonging in the junk category. 21:41: Dina shares an experiment idea to compare foods and determine how they rate health-wise. 22:51: There’s an idea the kids prefer bland and boring foods. “Kid food” is extremely sweet and salty, not bland! No matter how good a cantaloupe is, it can’t compete with over-sweetened snacks. 24:01: We talk a bit about wording we use like healthy, growing, or fun foods. 24:48: Dina wrote a blog post making the case that donuts are better for your kids than muffins. Listen in for her reasoning! 26:36: The culture of nutrition doesn’t have a place for “bad foods.” This leads to feelings of guilt. 28:53: If there’s a special treat that you love, it’s ok to eat it. Just don’t mindlessly eat sweets because they’re there. You need to know how many treats you can have in one day. 30:30: Many parents are just winging it. When a child asks for a certain treat they decide on the fly whether it’s ok or not. 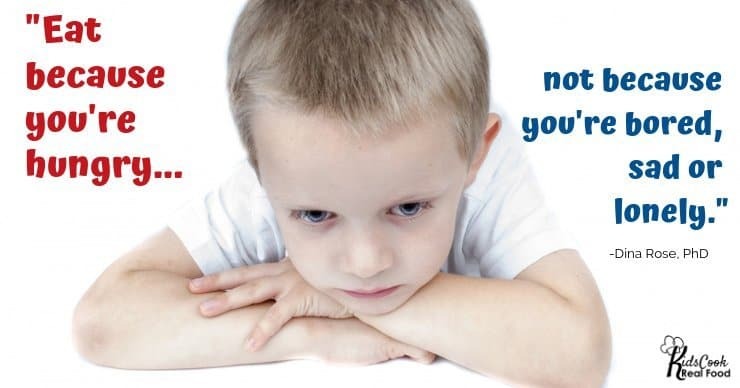 Setting clear boundaries and sharing them with your child helps eliminate arguing and incessant requests for treats. 32:24: If you’re worried that your child is going to sneak treats then you either have a behavior issue to address, or your child feels deprived. 33:15: I share some of the phrases we use at our house to get Dina’s opinion. Do you say any of these things? 34:50: We talk about dessert! Dina incorporated dessert into their dinner routine as the third course. She often served fruit or plain yogurt to teach that dessert doesn’t have to be sweet. 36:27: Eating healthy food doesn’t offset the sugar in dessert. We don’t want dessert to be seen as a reward for eating a healthy dinner. 37:00: We also don’t want to teach kids to eat dessert on a full stomach. Dessert should always be a small portion, not bigger if you ate a good dinner. A child should always get dessert (if everyone is having it) even if they didn’t eat their dinner. 38:18: We discuss how to teach your kids to use the phrases “I’m hungry” and “I’m full.” Little kids don’t know what those sensations are. They need to be taught. If we let “I’m hungry” be the gateway to treats then they may start lying to get sweets. 39:51: Dina recommends using “eating zones” to teach your kids what it feels like to be hungry or full. As parents we can get scared of letting our kids get hungry, but hunger is the natural building of appetite. 41:28: What about picky eaters? Start with eating zones and rotation rule. 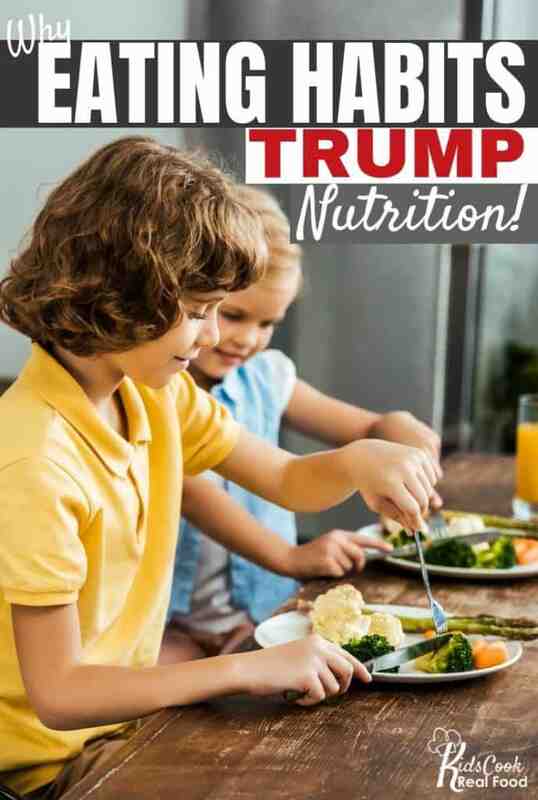 Learn how to explore food with your kids. Read more about picky eaters here. 44:32: Dina shares a bit about her book. As an Amazon affiliate, I earn from qualifying purchases. Check out a Free Sample of our course! 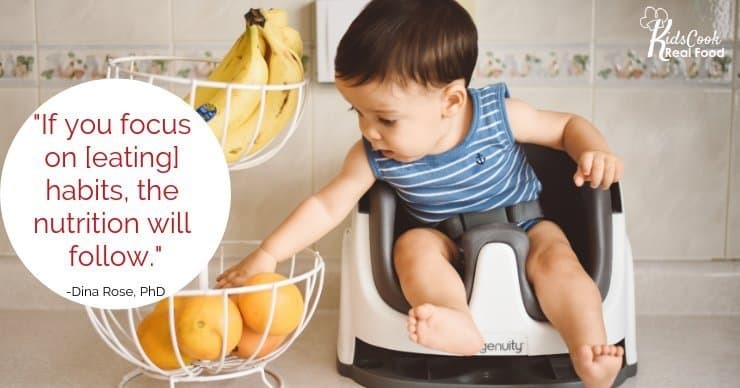 Subscribe to our YouTube channel for more ways to connect as a family around healthy food (and all these great videos)! Disclosure: As an Amazon Associate, we earn from qualifying purchases.